There just is nothing more beautiful, exquisite and functional than a glass entry door right from GlassWorks. We are regarded for having on hand an exceptional selection of glass double doors, glass entry doors, glass exterior doors and glass front doors. GlassWorks has been satisfying the glass door needs of valuable clients throughout the Greater Chicago Metropolitan Area with top-rated customer service for practically four decades. Moreover, GlassWorks now has the ability to ship its extraordinary glass door products to customers living throughout the United States, Hawaii, Alaska and Puerto Rico. Broadly recognized as the fastest expanding glass company located right in the Midwest, GlassWorks is a nationwide identified glass expert. Additionally, also we are a company you can rely on to perform the finest with regard to installing the finest glass doors for its customers. It comes as no big surprise that Glencoe citizens think of us as a company they can trust, with greater than 4,000 happy customers per year, and we are also regarded as a recurring Angie’s List award recipient! Glencoe, Illinois is an affluent village situated within Cook County with more than 8,700 locals who reside there. Glenview is where you can find the home of GlassWorks and is suitably based just about 9.6 miles southwest of Glencoe. Lots of our faithful clientele in Glencoe imagine us as their one stop shop in the Chicago area for the best glass exterior doors. Our Glencoe customers possess a fully dedicated group of staff from sales people to project managers, installers and manufacturers who are devoted to fulfilling your glass door demands. We are recognized for creating, fabricating and installing the most ideal glass doors and other glass products for our Glencoe clientele that are designed to the highest standards in the marketplace. Not only do we furnish some of the most incredible glass entry doors and glass double doors for locals in Glencoe, but in the spring season of 2014, GlassWorks got a request of a life time. GlassWorks was handed an invite to 1600 Pennsylvania Avenue, commonly known as the property of the First Family, to create, fabricate and construct a display system to be put to use in the White House. As a result, we are now in a position to add an additional name of a satisfied, and very prominent, client to our list of plenty of satisfied clients! Also, GlassWorks is a regarded innovator in architectural glass. For that reason, why would any person ever think about going just about anywhere else for their glass exterior doors? You can always believe in our exceptional project managers and fabricators to not only fulfill your expectations, but GlassWorks will in all probability exceed your expectations! Regardless if you are thinking about the inclusion of a glass front door, a glass double door, glass exterior doors or glass entry doors, GlassWorks can care for it for you both expeditiously and at a sensible price! 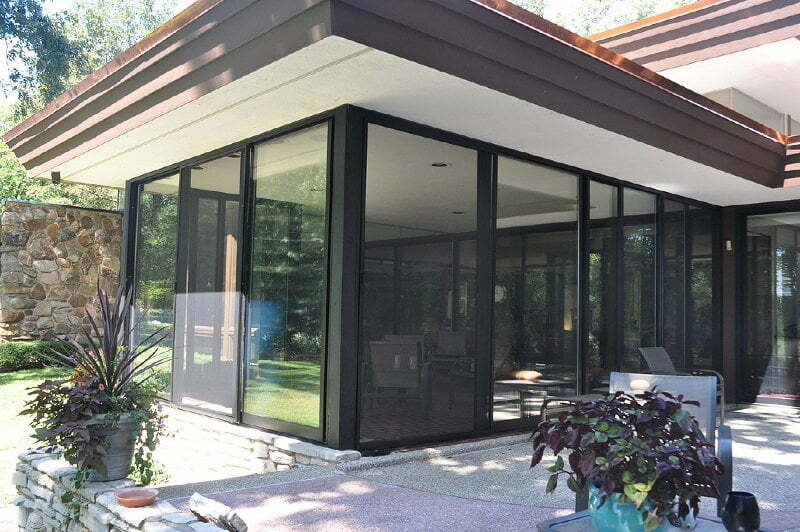 For more details about a glass door right from GlassWorks, contact us today at (630) 355-6363 (West/South), (312) 337-2300 (Chicago), (847) 729-5580 (North) or (866) 452-7925 (Nationwide). We will offer you a one-year warranty on every one of our glass products and installation, along with the manufacturers’ warranties.